Making your songs memorable includes not only a great story, but great imagery as well. The words “jump” and “catapult,” while synonyms, have very different visual and emotional responses from a reader/listener. Verbs can help your songs rise above the expected. Because something as simple as word choice can move a song from nice when heard, to memorable, every word counts. Since emotional connection is what brings it home for a listener, verbs are a key part of your arsenal. The right verbs can bring a whole new dynamic to your song. Choose one of your songs you’re either stuck on or have finished a draft of but may not be completely satisfied with yet. Go through the lyrics and circle all of your verbs. Remove them from the song and write them down on a separate sheet of paper. KEY STEP! 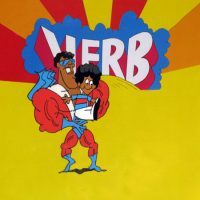 Give your verb a score in terms of it’s ability to “electrify” anything. How interesting are they? Let’s go with the traditional rock range of 0 – 11 for our scale. For anything under 5, find a new word that’s at least a 6. – “Stagger” is a 3 but “Wrecking ball dancing down the hallway” is an 11! Now, go back and do the same thing, but now use 8 as your bar instead of 5. Plug the words back into your song – how does it sound? One thing to keep in mind is the “singability” of your song and how the word will hit the listener’s ear. If it’s too complex, it will get lost, basically reducing your “9” verb to a “0” pretty quickly.